Bill O'Reilly is unabashedly anti-choice. Because he is part of a movement that seeks to take American women back to the "good old days" of back alley abortions, which resulted in the deaths of women, Bill hates Planned Parenthood because they perform abortions - a surgical procedure that is legal in the US but will be re-criminalized if O'Reilly and his secular and (all male) clergy pals get their way. In his ongoing war on Planned Parenthood, he hosted, last night, Abby Johnson who is the former head of a Texas Planned Parenthood - but who then found Jesus and left Planned Parenthood to fight for the other side. Johnson has joined Bill O'Reilly fave and anti-choice zealot Lila Rose as Chief Research Strategist for "Live Action." Not surprisingly, Bill O'Reilly interviewed Johnson, last night, as part of his week long crusade (or is it jihad) against Planned Parenthood. And this isn't the first time that Johnson has spread her propaganda on Bill's show. She also appeared on Mike Huckabee's show where she was validated by the Fox News TV host who said that if he runs for president, it's to "fight abortion." Nice to see Fox "News" providing yet another shout out to those who hate big government - cept when it takes away a woman's right to her own body! Bill began by reporting that the Pence Amendment, defunding Planned Parenthood, passed in the House. He then mentioned that during the debate, Congresswoman Jackie Speiers said that she had an abortion. He played part of the video of Spiers testimony but not the really poignant part, played by other networks, in which she castigated an anti-choice male legislator, Republican anti-choice zealot Chris Smith (NJ), for inferring that abortions are done casually. In introducing Johnson,he cited her book but did not mention her new connection to Live Action. He asked Johnson why she left PP and she responded that it was because she watched an ultra-sound guided abortion. Her story about the ultra-sound is full of holes because, as Amanda Marcotte (target of anti-choice death threats) points out, Johnson, in her eight years at PP, had to have seen a number of these procedures and asks what was so special about this one. Johnson provided more requisite agitprop in stating that she believes that PP does not provide "quality care" and that there are other places more worthy of taxpayer money such as community health centers that provide "comprehensive" health care. She didn't mention that these centers cannot, by law, provide abortions. Bill described the costs of shutting down PP; i.e. more unwanted pregnancies and higher welfare costs and asked her what she thought of that. Johnson said that she "used to believe that" and cited Guttmacher's statistics which showed that *54% of women who had abortions were using contraceptives and "there's something not right there." (Nice dodge of the question). She continued the agitprop: "Planned Parenthood is using these women...they're selling them on this birth control option that's probably not going to work for them." (Uh, so they shouldn't be using birth control because it might not work?) Not mentioned was that when Johnson was at PP, she received death threats and harassment from anti-choicers. Not noted was that three days before her "conversion," she had been put on notice regarding her job performance. 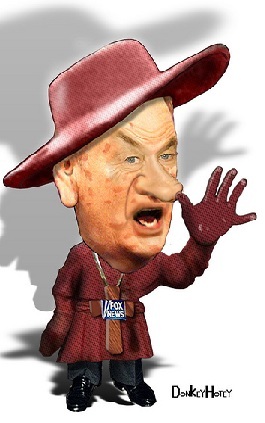 Comment: Bill O'Reilly's and Fox News' war on Planned Parenthood and War on Women continues. *Abby didn't note the other part of the Guttmacher quote which read "76% of pill users and 49% of condom users report having used their method inconsistently..."
Note - The House spending bill now goes to the Senate. Click here to let Congress know that "you stand with Planned Parenthood." Spread the word.